Keeping your kids safe at big public events is a big worry for parents. With a bustling crowd and commotion you always try your best to keep a close eye on your little ones. There is however a few things you can do for your kids to keep them as safe as possible. The following tips might not work with every child or family but read carefully and you might find something to help you at your next big event. If you’re attending a large event, such as a concert or a carnival with your children for the first time, it’s essential that you talk to them about safety. Make sure they know what the event is, roughly how many people will be there. Ensuring that they know what to do if you ever got separated from you. If your children know what to expect from a large crowd they’ll take more care not to get separated and stay closer to you. If attending an event with assigned seating (cinema, sporting event etc) make sure you give the seat ticket your child to keep in their pocket, it helps security services and venue employees to help relocate a lost child to their seat and therefore their family. While most families do this often before and during an event, it’s important to take a before photo. If one of your children becomes lost in a crowd having a photo of exactly what they’re wearing will be very helpful for event security and staff to locate your child soon! more often than not they’ve just been distracted by bright lights & sounds somewhere else nearby. As soon as you arrive at the event location, find a well lit, open area near officials and the help desk if there is one. If your kids ever get lost and they can’t find you, they should head to this home base location. Your children will be able to alert event staff that they’re lost and keep them safe until you arrive to pick them up. If your kids know the difference between a stranger, and somebody helpful (security, staff, police etc) they’ll be able to get them selves to safety without bothering strangers. While most strangers wouldn’t dream of hurting anyone let alone your children there are of course risks with certain individuals. Ensuring your kids know who to approach if they’re lost or need help is a big step in keeping them out of the hands of bad people and back by your side ASAP. Losing a child in a crowd is an extremely stressful experience for both the parents and the child. One of the best ways to ensure your children stay safe is to never let them leave your side. It might create a few problems with one kid wanting to go one way, and your other one wants to go somewhere else but this is worth the safety gain. Never split up on purpose, and always keep an eye on your children when navigating crowds. If every child is holding the hand of a parent you can navigate large crowds together without losing anyone. Should the worst happen and one of your kids gets lost or separated, the above advice and tips might help your children to get to safety quickly and responsibly. 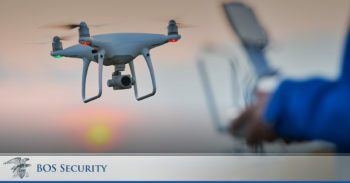 Give us a call on 404-793-6965 or head to our security needs assessment page, here you can undergo an obligation free assessment where we will find out the right security solution for your business. Tailoring the solution to fit your business is important and we make sure the fit is right.